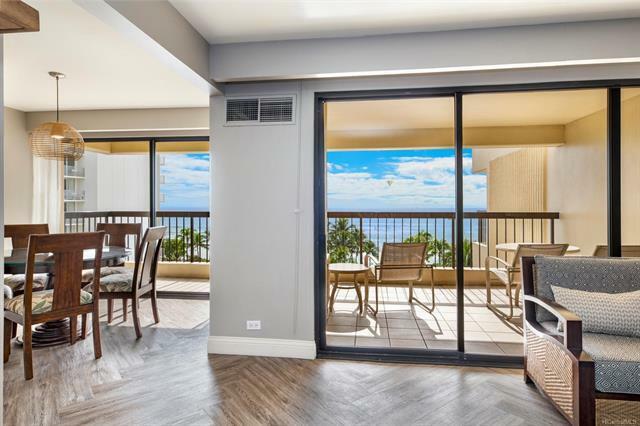 Choice turn-key corner-unit fully renovated in 2018. Brand new modern designer look. Perfect elevation with mesmerizing ocean views above the treetops. 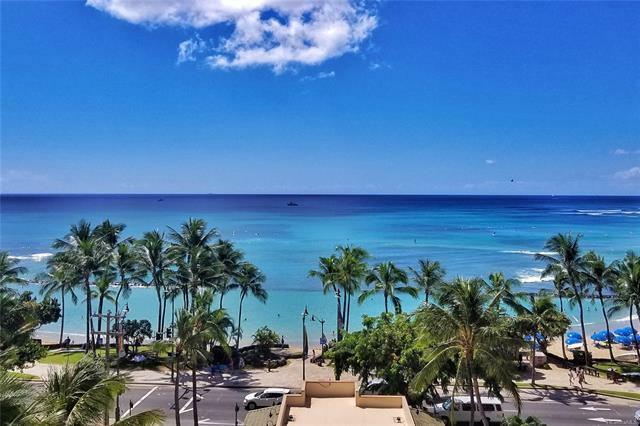 Prime central location in front of famous Waikiki Beach. 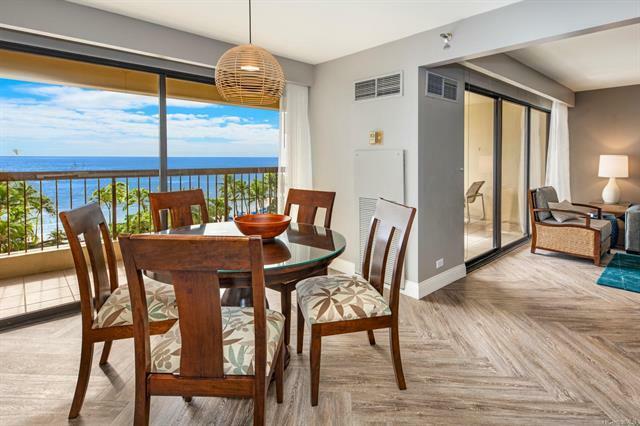 Close to restaurants, shopping and entertainment. In Aqua-Aston Hotel rental pool program with maximum occupancy. Vacation home for an ideal lifestyle. $917.81/mo 'Other Fees' includes $713.56 capital reserve and $204.25 easement. 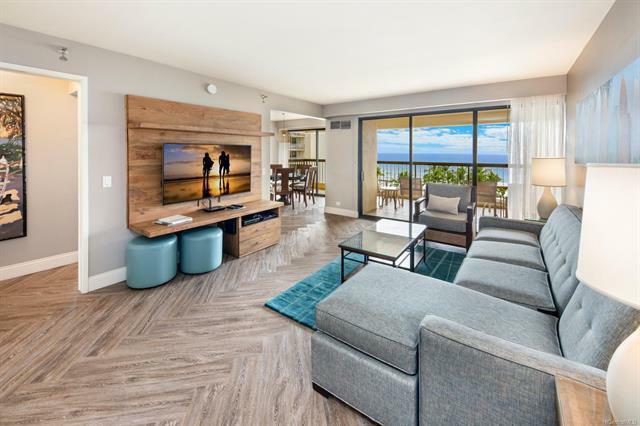 The new lease rent effective 11/31/18 is currently under renegotiation and not yet known.